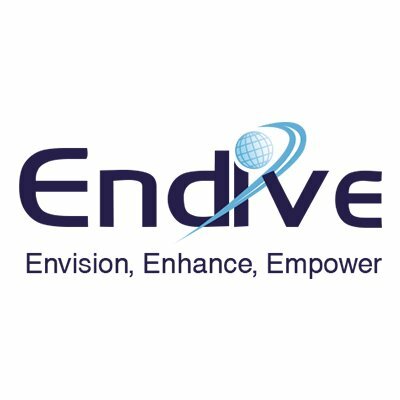 Endive Software is leading offshore and onshore web, custom software and mobile app development company with its global presence in the USA, UK, Australia, Dubai, and India. The company has been providing a set of technologies as a service to its global customers or numerous universal domains. The company has a pool of experienced developers, Business Analysts, Quality Analysts and professionals, who work dedicatedly to deliver world-class and state-of-art solutions. Endive Software makes iPhone apps with an iconic front-end design and dynamic functionality which will take your business far away in just a single touch. Endive Software's creative web & mobile app designers can build any kind of user interface for mobile apps. Utilizing the advanced design tools and technology, each and every layout of the mobile application is crafted very carefully from every angle to identify your app in just a first glance. They use the major front-end toolkit and technology such as Angular JS, Knockout JS, Sencha, Ember JS, Bootstrap, etc. Endive Software is a fast-growing Salesforce development service providers with its substantial expertise on an ample variety of Sales Cloud, Salesforce products, Marketing Cloud, Service Cloud, Salesforce1 mobile, Lightning application, and chatter communicates. They also provide integration, AppExchange development, Salesforce customization, Salesforce migration, Salesforce implementation, and other services as part of their Salesforce solutions. Endive Software provides custom software development solutions that suit your business. Endive Software offers affordable and standard web design services to let your business or online service grow at a rapid pace. Endive Software offers robust and scalable web development solutions.